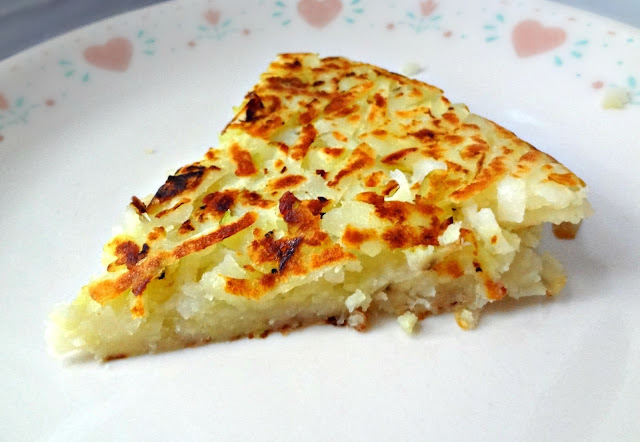 The Cooking Actress: Potato "Cake"
As I'm sure you've noticed, I'm consistently finding new ways/variations on potatoes. Michael has said my blog is pretty much just endless sorts of cookies, chicken, and potatoes. I don't think that's entirely true. But, I'll admit there's a lot of em. I'm a consistent gal. 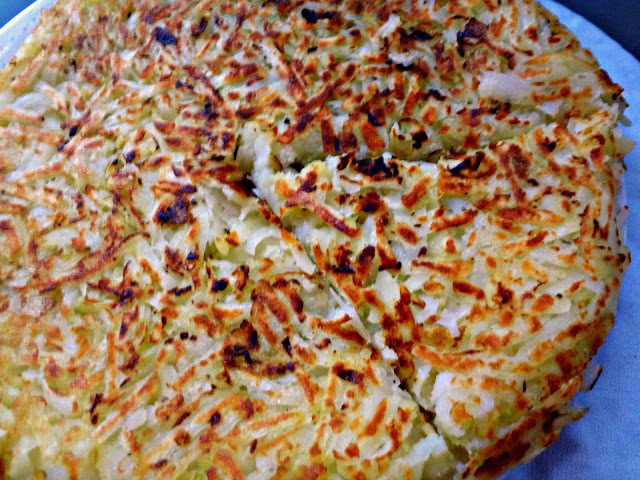 This potato recipe is cool, because it's sort of like a potato cake. It's crispy, and the onions give it a really tasty flavor, and you could totally eat this for breakfast, as a side, or as an appetizer! Versatility! I like how the cake-like structure makes this seem sort of fancier, so if you're hosting an elegant brunch or some such thing, this is a prettier alternative to, say, hash browns. So, bring these out for your fancy shmancy parties, or maybe just for you on a lazy night in. Optional: half a yellow onion, or 1 red onion. Wash potatoes and-leaving skin on-put in a pot, cover with water, and bring to a boil. Add a pinch of salt to the water and cook until tender, about 10 minutes. Then, remove from water and cool. Once potatoes have cooled, peel and grate with the big holes on a grater. Heat oil in a large pan over medium heat. Saute onions for 3 minutes, until soft. 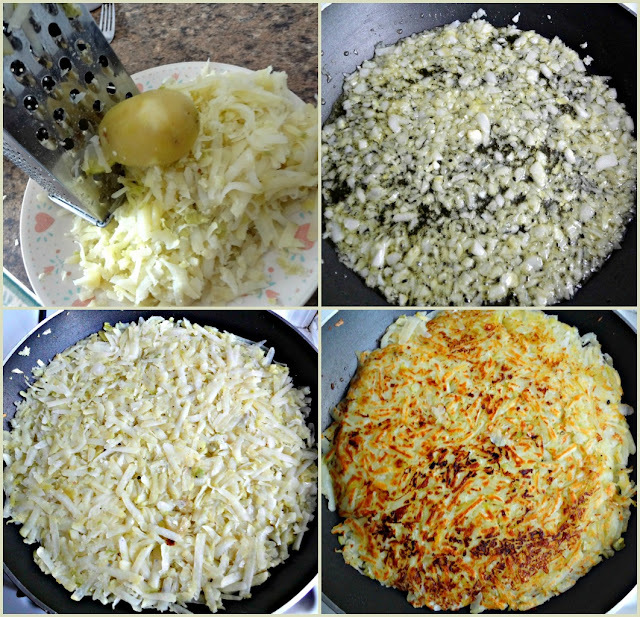 Add grated potatoes to the onions and stir. Season with salt and pepper. Press down with a spatula and cook for 5 minutes until browned. Invert the potatoes onto a large plate, then slide it back onto the pan and cook the other side. Cook for 5-10 minutes, until both sides are golden brown and crisp. Mmmm crispy potatoes are heavenly.